Hey folks! 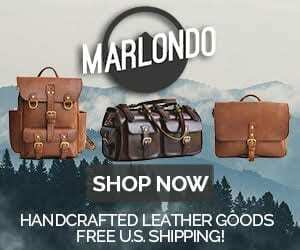 This is TJ with BestLeather.org and today we’re going to be taking a look at the original Saddleback Leather Tank Backpack and the newer Saddleback Leather Squared Backpack. We’ve also got the new tobacco leather here. So why would you want either one? The Tank is discontinued. You can get it cheaper on eBay, between $350 and $400 as opposed to nearly $600 for the new Squared Backpack. There are some comfort differences and capacity differences and I want to show you those real quick. With the original Tank backpack, you’ve got a piece of leather that goes around it from the top down to right here in this seam. This seam is about half an inch and it is pretty brutal on your lower back after a while of walking. This backpack is more than a year old. It’s been used every single day and you can see it right here where it’s formed to the back, but this hasn’t broken in at all. It’s just still as brutal as ever. Also, the shoulder straps—these little ridges right here—those can get uncomfortable after a while. It’s also a bit narrow so these edges, if you have a wider body, can rub and dig into your skin as well. On the other side, with the Squared Backpack, is an update and evolution from The Tank. You’ve got one piece of leather that goes from this flap all the way around to right here. Now there’s no seam here and you can see, as I can push on this, that it’s pretty flexible. This will mold to your back quite nicely. There’s a nice patina right here. There’s also a piece of foam embedded in the leather. So as far as your lower back goes I have absolutely zero complaints. I’ve carried this hiking for hours, I’ve taken it through airports, long trips, and it’s been very comfortable. The shoulder straps are also a lot thinner and are a lot simpler. They’re more comfortable; they’ve broke in very quickly. I think it’s just a better design, a simpler design than these more complex, heavy-duty straps on the Tank. However, I will admit that there’s a real classiness to The Tank with these straps and with the rigidity of the design. Even though it’s got some flaws, it looks really sharp. So if you’re willing to put up with those things, I think it’s still a great backpack and it was designed with durability in mind for sure. You can see massive seams of leather going on here. The Squared Backpack isn’t designed any less ruggedly but there are some good things that really make it more functional. It’s also bigger. It’s got about 1,400 cubic inches of internal capacity whereas The Tank has about 900 cubic inches. So you’ve got more capacity and the flexibility makes it a little bit easier to work with. You can see right here with this strap—this is something that I would change if this were my design. I haven’t used these straps at all since I got the backpack because I don’t see a reason to. Maybe I’m wrong. Maybe somebody can point out in the comments what the real purpose is for and what they use it for. It seems to me that this front flap totally encloses that main compartment. I’m not worried about water or anything getting in there, especially when you cinch it down to the lowest level. But with this flexibility here, it folds a little bit. You see how it’s crinkling right there. But when you put that flap down, sometimes it closes a little bit crookedly and it looks like it wasn’t made correctly. I think they should make this a little bit stiffer but that’s the only thing that I would change thus far. Pockets-wise, usability, they’re pretty close. Identical pockets—you’ve got one up front, two in the sides, you’ve got slots where you can fit stuff in, pens and whatnot, between the pockets and the main compartment, pockets inside the main compartments here and then two here. They’re a little bit larger on the squared backpack because of the larger dimensions than on The Tank but they’re still very good. I think this is one of the best backpacks that you can buy on the market if not the best. I’d really like to see another backpack that can compare. We’ve got an article coming out on the Marlondo backpack versus the Saddleback Squared Backpack and it just really doesn’t compare. There’s a lot of thought that’s gone into this. For working with the limitations that leather has, I think they’ve done a really good job. I like the new tobacco leather also. You can see we’ve got some patina going on right here. It looks fantastic. It’s definitely more rugged than the chestnut—chestnut being my personal favorite—but it looks good and it’s wearing well. This one doesn’t really have any scars on it that I can speak of, but I like the used look of it. It’s fantastic. So we’ve got pros: It’s (Tank) sharp-looking, it’s cheaper, but it doesn’t have quite as much capacity. Whereas this (Squared) has got more capacity, it’s more expensive. You’ve got this flexibility up here that I don’t really get. So that’s about it. Thanks for watching. We’re going to be doing some more videos here upcoming and hopefully some giveaways. So subscribe and stay tuned. Also, I’d like to hear from you guys with these backpacks and what you think of them, especially people who have had The Tank and have upgraded to the Squared Backpack. What do you think about that? I know some of you are considering this; you have Saddleback Leather Tank Backpack and are considering the Squared Backpack. I would encourage it. I think it’s a good switch. The pros are worth it. Hopefully that is helpful to you. Have a great day! 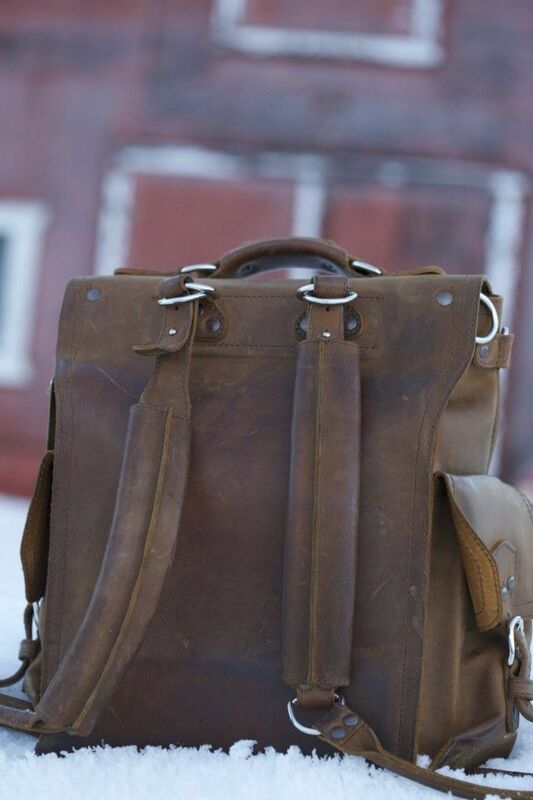 Check out the Saddleback Leather Squared Backpack here on the SBL website. Search for Saddleback Leather Tank Backpacks on Ebay. 5 Comments on "Saddleback Leather Squared Backpack & The Tank Comparison – Episode Three"